If you want the best deal possible, you’d have to go a long way to beat the 2014 Dacia Duster. Steve Cropley, Editor in Chief at Autocar, says “The Duster is huge value for money“. For the price of an average supermini, Dacia has made it possible to get your hands on a perfectly serviceable SUV. That price has been achieved partly by stripping down extras to an absolute minimum (on the entry-level version at least). What you’re left with is a vehicle that will appeal to anyone looking for car lease deals on a family car that holds its own against much more expensive competition. Storage capacity is what motorists looking for car leasing deals on SUVs tend to be interested in – and Dacia hasn’t cut any corners on that score. 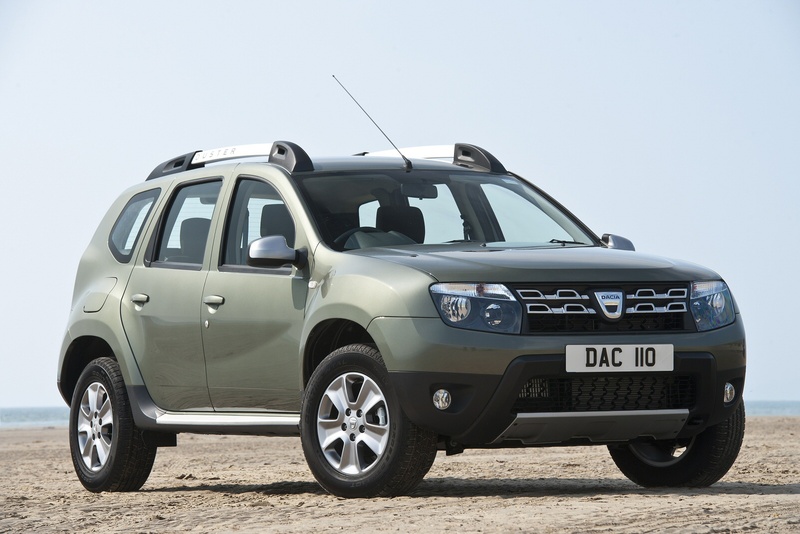 On the two-wheel drive variant, the 2014 Dacia Duster offers a more than respectable 475 litres. A proper full-sized spare wheel on the 4×4 version means that this is reduced to 408 litres. Dropping down the rear seats extends storage capacity to 1,636 litres. You’ll find that the cabin’s equipped with everything you’ll need with the absolute minimum of fuss. A basic two-dial instrument set-up dominates the dash with LCD graphs for temperature and fuel level. The seats in the 2014 Dacia Duster are comfortable enough not just for short trips but for longer journeys as well. There’s also plenty of passenger space in the back: two adults can be accommodated easily and in comfort over long periods whereas three adults shouldn’t feel too boxed in on shorter trips. For most drivers looking at car leasing deals on the 2014 Dacia Duster, the 1.6-litre petrol model at the bottom of the range is probably going to seem a little lacking in power and performance. The beauty of Dacia’s pricing structure though – is that it enables you to give serious consideration to the much more capable 1.5-litre dCi diesel variant without fear of breaking the bank. Offering 110 bhp horsepower, this engine gives you almost 60 per cent more power than the petrol model. With that rather rugged look – not to mention a full 210 mm ground clearance, the 2014 Dacia Duster certainly looks as if it’s capable of handling difficult conditions. The four-wheel drive version holds its own remarkably well – although it would be more accurate to consider the Dacia Duster a family car with all-wheel drive capabilities rather than a dedicated off-roader. The four-wheel drive version features a three-mode drive system designed by Nissan. The normal 2WD mode will be adequate for day-to-day driving but as soon as the conditions worsen you can make a seamless switch to ‘Auto’ mode for additional traction. The ‘Lock’ setting is designed for challenging terrains. Motorists who want car lease deals on a no-frills family car may wish to head straight for the baseline ‘Access’ Duster featuring the 1.6-litre petrol engine. You get the very basics: namely central locking and immobiliser, roof bars, tinted glass and electric windows – but it’s missing even a radio. Pay a premium and you can move up to the four-wheel drive version. The next trim level is ‘Ambiance’ and it features split-folding rear seats, a height-adjustable driver’s seat and Bluetooth. Move up to the top-of-the-range Laureate trim and you can enjoy air conditioning, alloy wheels and a trip computer. If insurance is an issue when you’re checking out car lease deals, you’ll be pleased to note that the petrol-engined version is in Group 7 whereas the diesel is only slightly more expensive in Group 10. One of the biggest draws of the 2014 Dacia Duster is that it’s relatively inexpensive to run as well as being cheap to get hold of in the first place. The 1.6-litre petrol model offers 39.8 mpg on the combined cycle on the 2WD version and 35.3 mpg on the 4WD variant. Emissions are a very respectable 165 and 185g/km depending on whether you opt for two or four-wheel drive. The diesel engine gives 56.5 mpg for front wheel and 53.3 mpg for four-wheel drive with emissions figures of 130 and 137g/km. There are better equipped SUVs out there, (see this SUV buyer’s video guide) – boasting the latest in technology – a lot of which can often end up being underused. The problem of course is that you generally have to pay handsomely for all those little bits and pieces. Dacia has very cleverly cut everything down to give you a family car option that offers remarkable value in an effective package. 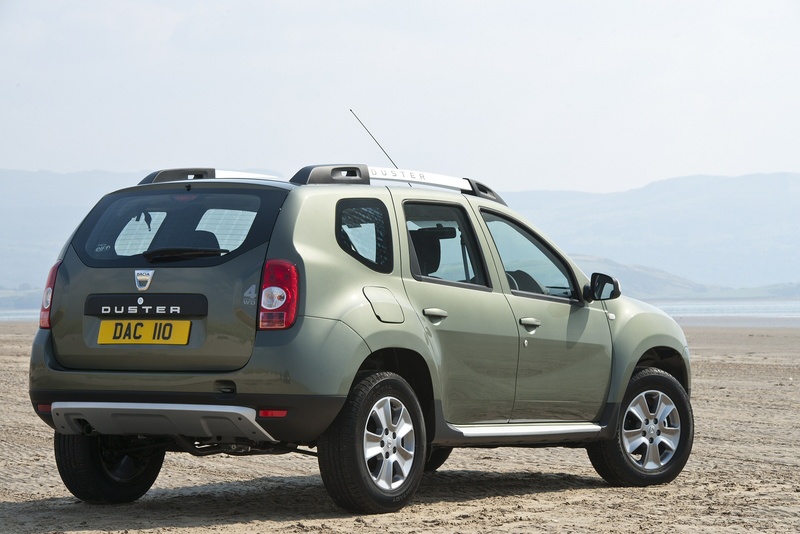 What do you think of our 2014 Dacia Duster review?